Mary Hearst was born 24 Mar 1916 in Montreal. She had a remarkable memory and was a fascinating storyteller. I listened to a tape that her son Dan did in 1988 with his mother and Aunt Minnie. 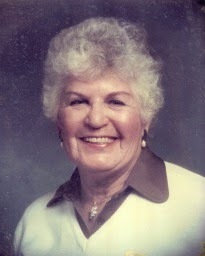 Mary described incidents in her mother's life, her father's career as a policeman and her brothers' Jack and Irwin's personalities in very moving detail. She married Philip Jaffe 24 Feb 1943 and was divorced in 1969. She died 12 Sep 2007 in Los Angeles. Sister Dottie Hearst , born Dora Herscovitch, was born 10 May 1912 in Montreal. She and her sister Mary lived together in New York on 40 Lincoln Rd, as shown in the 1940 Census. Dotty and her husband Sol Press also moved to Los Angeles. She died 6 Sep 1995. Their brother Ben Hearst has 2 birth records. The first has his birth name as Beryl Bennie Herscovitch, born 15 Apr 1914, registered by his father, Max, 18 Oct 1914. The second has his birthdate 22 Apr 1914, registered by his father, Max, 29 Dec 1924. Ben married Ethel Goldstein, Oct 1940. He died of a heart attack 20 Mar 1986. Sarah Herscovitch, the oldest sister, was born 10 Apr 1909 in Montreal. She had a form of retardation and when the family was going through turmoil after Max died and Yetta had a nervous breakdown, Sarah was put into a nunnery/ convent in St Anne de Beaupre. I have not been able to find any records for her.